This 3-star hotel offers modern rooms with a daily breakfast, free Wi-Fi and free parking. 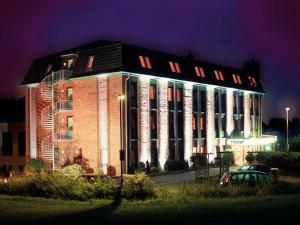 It is located in Glinde, 18 km from the centre of Hamburg. The Entrée Hotel Glinde features modern rooms with a TV. All rooms can be reached via lift.